Back in the late 1970s I teamed up with the late poet James Tate to teach a graduate class in contemporary poetry. 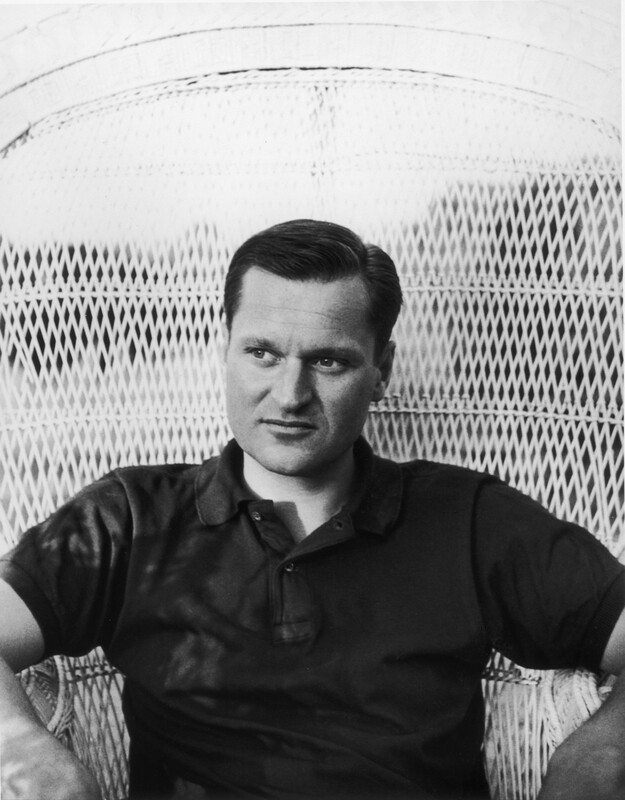 Among the poets we studied that fall was John Ashbery, who was still relatively new to us, but especially to me. I remember reading Ashbery’s brilliant long poem based on a baroque painting by the Italian painter Parmigianino (the little guy from Parma). The painting shows the young artist—aged 21—as seen through the distortions of a convex mirror, like those used by barbers at the time. Given the configuration of the optics, the artist seems to either hide or greet you with his left hand, which is larger than the face itself. In the background is the workshop Parmigianino worked in (we assume): a glazed window to the left, a piece of furniture to the right and the ceiling of the room bending like the ark of a rainbow. I had gone over the 4,000 lines of Self-Portrait in a Convex Mirror five or six times, trying to learn what I could in those pre-Google days about the 50-year-old Ashbery’s poetry. But, except for Wallace Stevens and the early W.H. Auden, Ashbery was like no other poet I had read before. I was not alone in feeling a sense of bafflement and attraction to this poet, of course. But what language could a teacher-critic employ in speaking of this radically new phenomenon? I tried terms like existential metaphysics and metapoetics to reach my students. At that point, Tate, who had remained silent up to that point, came out with the neologism, what about “meta-spaghetti?” which of course had the students laughing out loud. I was not alone in feeling a sense of bafflement and attraction to this poet, of course. And that, friends, was the end of that particular experiment. Or the beginning, for me at least. How to approach John Ashbery? With a puzzled laugh as you entered his world? Or with the sharpest archeological/critical tools to uncover what the poet was saying? Or seemed to say. I found Ashbery a delight: quiet, gentlemanly, affable, in some ways approachable, in some ways not. Ashbery began reaping in the awards even before he was 30. First it was the Yale Younger Poets Prize, awarded by Auden. Then, in 1976, it was the Pulitzer, the National Book Award and the National Book Critics Circle Award, all for Self-Portrait in a Convex Mirror. Eight years later it was the Bollingen, then the Robert Frost Medal, then, for his work as a translator of French poetry (having spent much of the 1960s in Paris, mastering French and getting to know the French literary establishment) he was made an Officier de la Légion d'honneur by the Republic of France. And as late as 2011, by which time he was in his mid-80s, he was awarded the National Book Foundation Medal for Distinguished Contribution to American Letters. But what stays with me in reading Ashbery is the sense of existential loneliness beneath the linguistic play and multiple voices he so brilliantly mimics, from the historical, to the philosophical, to the sounds one hears on the streets of New York, where he spent so much of his time, to the echoes one hears in those B movies he loved to binge on. What stays with me in reading Ashbery is the sense of existential loneliness beneath the linguistic play and multiple voices. And then there are those comic books he read as a boy, Daffy Duck and—better—Popeye and company, figures which inhabit his brilliant sestina, “Farm Implements and Rutabagas in a Landscape,” where Olive Oyl and Swee’Pea and Alice the Goon and the Sea Hag all make appearances, even as an ominous voice thunders from the heavens. And then one thinks of a 12-year-old boy in upstate New York reading the comics with his younger brother, sensing the encroaching fates which will soon swallow his brother and leave him more alone than ever, so that no amount of language, however brilliant, however uproarious, however voluminous, will ever be able to console the man. Paul Mariani is the author most recently of Epitaphs for the Journey: Poems, and The Whole Harmonium: The Life of Wallace Stevens. A former poetry editor at America, he is University Professor of English Emeritus at Boston College.